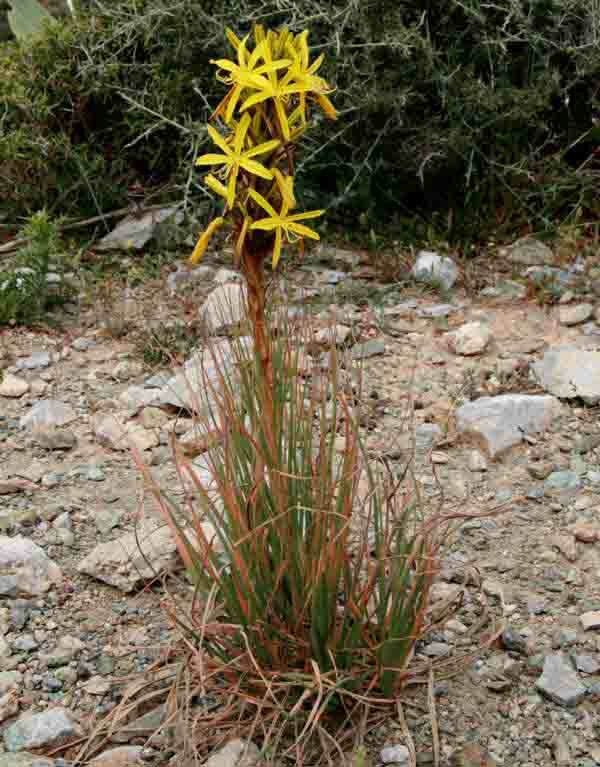 Asphodels are often seen in vast numbers in the Mediterranean region, where they grow in fields and on abandoned farmland. They are ignored by grazing animals, because they find them unpalatable. 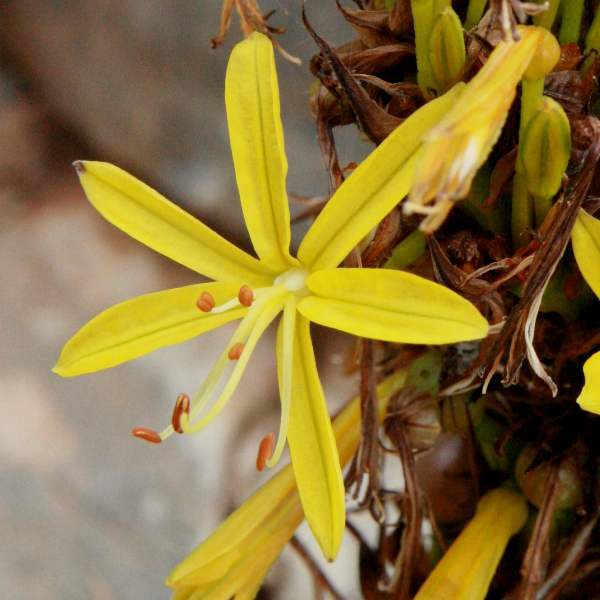 Yellow Asphodel grows up to 1.2m in height and has narrow, bluish-green leaves and a somewhat uneven-looking raceme of bright yellow flowers. The plant thrives on grassy slopes and in fields and abandoned farmland, blooming from March to May. 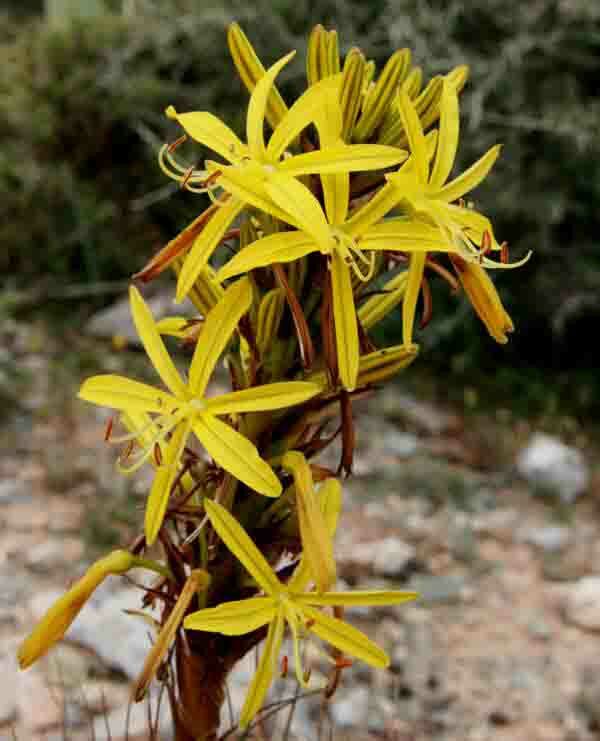 This attractive asphodel is more common in the eastern Mediterranean. Once the flowers have died back the orange-brown berries which are the fruits of the plant become obvious. Orange-brown fruits appear when the flowers die back. The specimens shown on this page were photographed in Crete.